The number of transmen seeking gender-confirming surgery has risen in the past decade. In a paper published in the British Journal of Surgery analyzing breast tissue from 344 transmen undergoing mastectomy, breast lesions--either benign or malignant--were present in 166 individuals (48.3%). Breast cancer patients over 50 years old could be spared invasive procedures by use of stratification based on tumour size and molecular characteristics, including Ki67. Three leading national cancer organizations today issued a joint clinical practice guideline update for physicians treating women with breast cancer who have undergone a mastectomy. African American women with early stage, invasive breast cancer were 12 percent less likely than Caucasian women with the same diagnosis to receive a minimally invasive technique, axillary sentinel lymph node (SLN) biopsy, even as the procedure had become the standard of surgical practice, according to research from The University of Texas MD Anderson Cancer Center. Viewed as one of the most unfortunate outcomes of breast cancer treatment, lymphedema is characterized by an accumulation of lymph fluid in the interstitial spaces of the affected limb, leading to chronic ipsilateral limb swelling causing psychosocial distress and physical challenges for patients. 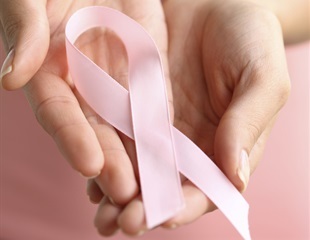 More than one third of younger, early stage breast cancer patients undergo unnecessary imaging procedures - including position emission tomography (PET), computed tomography (CT), nuclear medicine bone scans (NMBS) and tumor markers (TM) -- at the time of staging and diagnosis, according to research from The University of Texas MD Anderson Cancer Center. Judy C. Boughey, M.D., Kelly K. Hunt, M.D., and colleagues for the Alliance for Clinical Trials in Oncology conducted a study to determine the false-negative rate of sentinel lymph node surgery in patients with node-positive breast cancer receiving chemotherapy before surgery. Most patients whose breast cancer has spread to their lymph nodes have most of the lymph nodes in their armpit area removed after chemotherapy to determine if any cancer remains. Breast cancer survivors who have extensive surgery are four times more likely to develop the debilitating disorder arm lymphoedema, a QUT study has found. In women with breast cancer, the choice of anesthetic used for mastectomy may affect the risk of developing long-term pain after surgery, according to a study in the March issue of Anesthesia & Analgesia, official journal of the International Anesthesia Research Society (IARS). Women who have had the lymph nodes under their arm surgically removed during breast cancer treatment are warned to avoid certain practices that can cause lymphedema-a condition that causes chronic, painless swelling in the arm. Most patients whose breast cancer has spread to their lymph nodes have most of the lymph nodes in their armpit area removed after chemotherapy to see if any cancer remains. A study conducted through the American College of Surgeons Oncology Group and led by Judy Boughey, M.D. a breast surgeon at Mayo Clinic shows that a less invasive procedure known as sentinel lymph node surgery successfully identified whether cancer remained in lymph nodes in 91 percent of patients with node-positive breast cancer who received chemotherapy before their surgery.